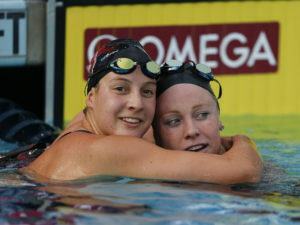 Jennifer Marrkand is the lone individual NCAA scorer returning for a new-look Virginia squad – from the swimming roster to the coaching staff. 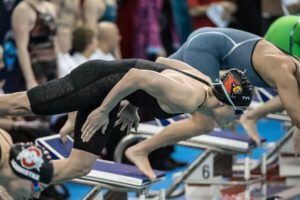 In an NCAA conference week plagued by a flood of relay DQs, photographs of ACC relay exchanges add support to the theory that step-over starts are causing legal relay starts to take DQs from official timing systems. Third-year Virginia head coach Augie Busch has been named the 2016 Virginia women’s coach of the year. 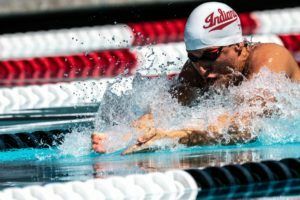 The 200 medley relay is a fascinating mixture of storylines that should really center around a pair of rivalries from the Pac-12 and ACC. 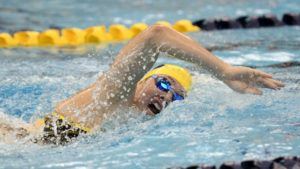 The #3 Cavalier women and 9-0 Hokies men lead after day one of tri-meet brawling at Virginia Tech. A crazy season in the NCAA with Olympic redshirts, freshmen deferrals and underclassmen turning pro has just about everything breaking in favor of Leah Smith and the Virginia Cavaliers. 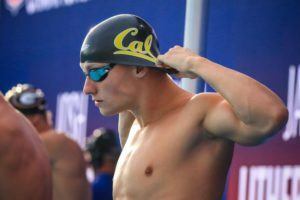 NCAP swimmer and Olympic Trials qualifier, Morgan Hill, has made a verbal commitment to UVa. Courtney Bartholomew is now a junior, a part of a rising young nucleus that has Virginia fighting for a top 10 finish. The finals of the Georgia 1A-5A high school state championships saw an onslaught of the state record books, led by a trio of senior Division I commits and one underclassman. 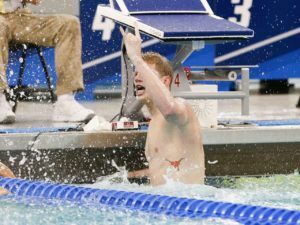 Paul Powers is one of multiple record-breaking swimmers already in Georgia, and they’re through just one of four sessions so far. 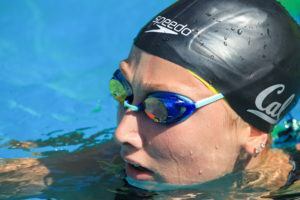 Georgia high school senior Caitlin Cooper has broken Amanda Weir’s State Record in the 50 free.